A while back I presented a series of quests to promote the release of the paperback version of YANSS and offered riches should those quests be completed (see the original post here). Those quests, all but one, have been realized, and the rewards are traveling to the respective champions. 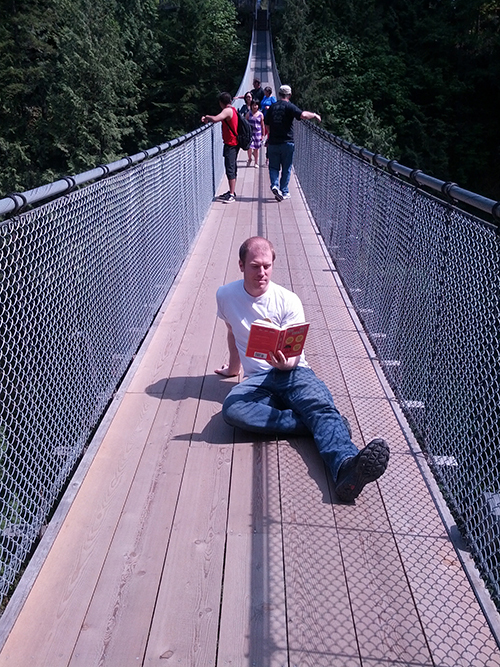 Read the book in a famous location. 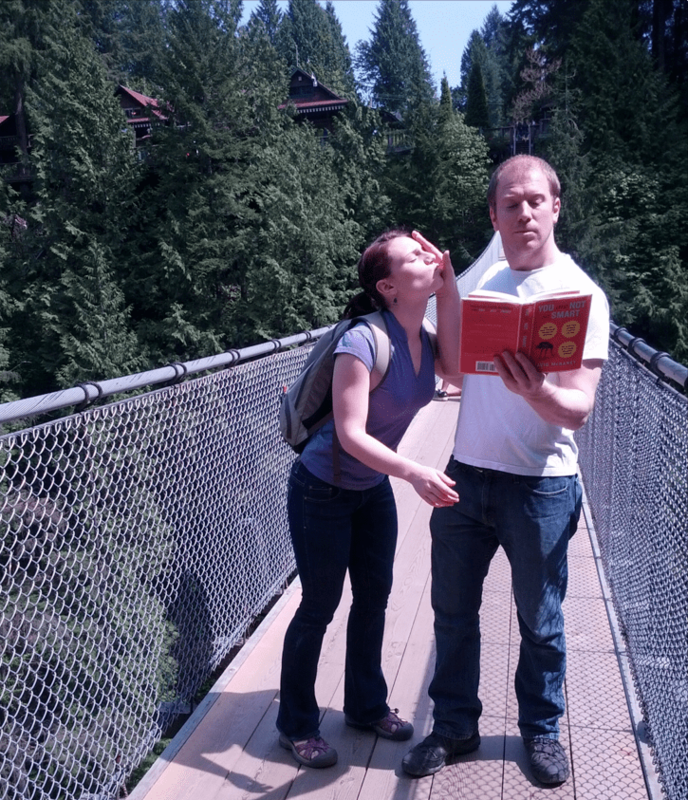 I asked for a one so nimble and brave that he or she might travel to the Freud museum in London and take a photograph reading the book…near…Freud’s couch, which I wrote about in the post on ego depletion, or travel to the Capilano Suspension Bridge and photograph yourself reading the book in the middle of the bridge I wrote about in the post on the misattribution of arousal. Both quests were completed, each by an incredible person. 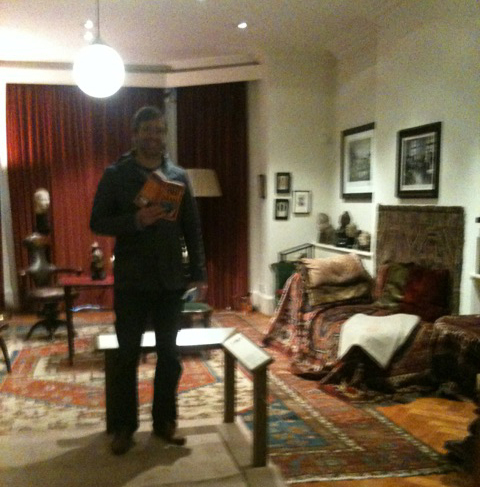 Matthew Corbishley is pictured above at the Freud Museum, and at the top of this post you can see Brad Duffy on the bridge. They both will recieve a useless box, a phrenology head, a plush neuron, a Sigmund Freud puppet, and signed copies of the US, UK, German and Korean editions of the book. I asked if there was one so brave and crafty he or she could create a mixed drink named after any topic ever covered on the blog, the podcast, or the book. Fill a tall glass with ice cubes. Add rum. Rub the cut edge of lime on rim of glass then squeeze juice into glass. Add colas. Garnish with lime slice. Serve as follows and Enjoy! 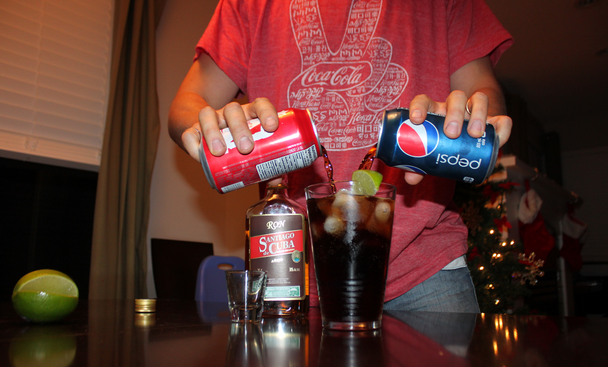 First, ask your friend if they prefer Coca Cola or Pepsi. If they are Coca-Cola fanboys, say “OK” and prepare/serve them the drink. After the drink is finished, tell the Coke fanboys that it had Pepsi in it. If they are Pepsi fanboys, say “OK” and prepare/serve them the drink. After the drink is finished, tell them that it contained Coca-Cola. Watch them mingle and share their experiences with each other. Enjoy! Watch for signs of groupthink when discussing the host. Create beautiful music yon bard. I requested an original song to use as background music on the podcast – no singing. I chose one person out of the many who composed songs and he received an album download for Helena Jesele, an album download for Caroline Crawford, a $20 gift card to iTunes, the audiobook version, and a signed copy of the book. This quest tasked photographers to capture the image of the book and then post it to Instagram. The first 20 received a signed copy of the book and a heartfelt missive. Keep sending these, though. 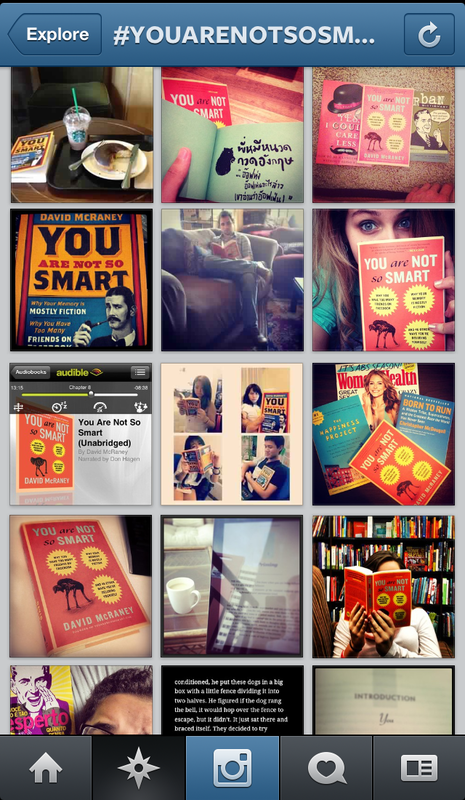 I love to see them.Just include the hashtag #youarenotsosmart or when you get the second book include #youarenowlessdumb. I asked one stone-hearted hero to post a video of a human under five-years-old passing or failing the marshmallow test I wrote about in the post about procrastination. Oliver Palmer did this and will receive a Sigmund Freud finger puppet and couch and a signed copy of the book. Tweet. Post on Facebook. Find self delusion in the wild. Get into an argument. These easier quests were also completed, and the people who completed those quests received signed books, but for the sake of privacy and a commitment to avoiding boredom, I’m just going to say, thank you very much. You are amazing. This was so much fun. Next week, look for a new contest and a new trailer for the new book.